A new baby always creates excitement within a family, with doting parents, grandparents, siblings and extended family members sharing the joy. In most cases, parentage is well known and accepted. However, in others, the identity of the father might be in question. Under Virginia law, only one man can possess paternity of a child at one time, and as a child’s biological father may not necessarily be the child’s legal father, the question of paternity exists. Here are some methods to establishing paternity. 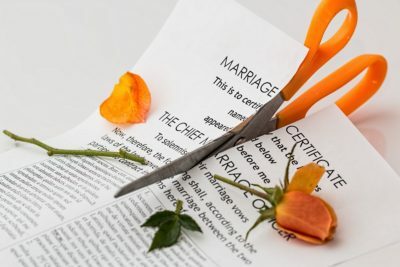 When a child is born to a married couple, paternity is presumed under Virginia law, and normally a mother’s and father’s name is listed on the birth certificate. For unmarried couples, paternity may not always be clear. In order to place the father’s name on the birth certificate a Paternity Statement should be prepared. In Virginia, paternity can be established in the hospital by signing and notarizing a no-cost form called the Voluntary Acknowledgement of Paternity (AOP) prior to being discharged from the hospital. Establishing paternity itself can be more of a challenge, and there are several acceptable methods that are simply defined here. For more details, please contact your family law attorney. 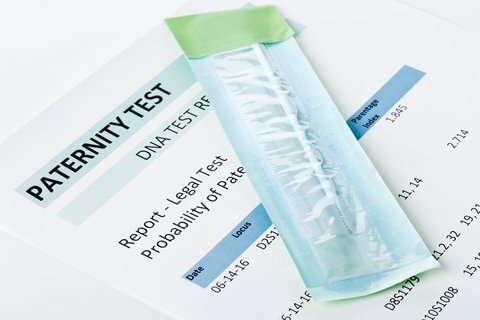 A scientifically-reliable genetic test, consisting of a blood test or genetic test, can establish or disprove paternity with at least a 98% accuracy rate. In the Commonwealth of Virginia, a Motion for Genetic Testing is generally filed with the Juvenile & Domestic Relations District Court and possibly the Circuit Court. The mother and father can create a written statement, taken under oath, that acknowledges paternity. This process also confirms that both parties were provided with oral and written descriptions of the right and responsibilities of acknowledging paternity, and any consequences of signing the acknowledgement, and includes the potential right to rescind within 60 days. • Cohabitation: evidence of living together or sexual relations between the known parent and the alleged parent at the time conception should have occurred. • Conduct: common use of the father’s name, references acknowledging the father, or conduct conducive to assuming fatherhood. • Claims: claiming the child on legal documents such as tax returns or documents filed with the local, state or federal government, or their agencies. Proof of legal adoption to establish paternity outside of being a biological parent. A petition to establish paternity must be created and filed with the Juvenile and Domestic Relations Court, with the Circuit Courts having concurrent jurisdiction in matters pertaining to paternity. Paternity can be complicated, especially if multiple potential fathers are involved, and knowing your rights, options, and responsibilities are important. If you have questions concerning paternity, ask your family lawyer, like Patricia Tichenor or Camellia Safi, the attorneys at The Law Office of Patricia E. Tichenor, P.L.L.C. in Leesburg, Virginia. We are the caring professionals families can turn to when they need answers, guidance, or defense. Contact us today.